Pro-Grow Lawn Conditioner is a peat-free, fine grade product which provides natural plant nutrients to develop a hard wearing and lush green lawn. It is blended with a high specification sand, chosen for its ability to improve soil structure allowing the development of strong and healthy grass roots. Pro-Grow Lawn Conditioner is perfect for application after turfing, for lawn repairs, or as a top dressing. It will cover around 30m2 as a top dressing. Order online and get Pro-Grow delivered to your home. 25L Lawn Conditioner bags are delivered within 5 - 7 working days. In order to give you the best possible value for money, orders of any more than 5 bags may be delivered on a pallet. Pallets are delivered on a 7.5t vehicle and unloaded using a pallet trolley. If you order more than 5 bags of Pro-Grow 30L then you will need good access for a 7.5t vehicle and please be aware that the pallet trolley cannot travel across un-even surfaces (e.g. gravel). We will try our best to put the pallet where you need it but WE MAY ONLY BE ABLE TO DELIVER IT TO THE KERBSIDE. "Very good service and looks a good product." 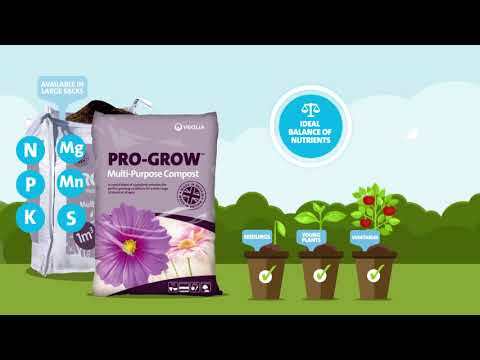 "Dear ProGrow Just a note to say thank for the delivery of soil and lawn we conditioner. Both products are excellent. Great quality and it's making a real difference to my garden already!"